We will ship all european orders we get until the 21th of december 2017 by 10 o'clock, before the warehouse will close for this year (exeptions are payments in advance, which will be execute as soon as we receive the money - so we need an evidence for your payment until 21th of december 2017 by 10 o'clock.). All orders for shops outside of the EU we will try to ship before we close, but we can't garant it. All incoming orders after the 21th of december, 10 o'clock will be packed at the 2nd of January and shipped within 24 houres. Further we are happy to welcome a new member to the Spiel direkt eG family with their brand new game Wulong. APAS with the crap game Wulong. Wulong is a crap game for the whole family. Wulong - one player rolls the dice, while the others place a bet on the throw. You bluff and gauge the others to win or lose it all. A simple game to play, with no waiting, just non stop excitement. And if you run out of money, don`t worry, just wait for your turn to get more cash and keep on going! May the luckiest devil win! 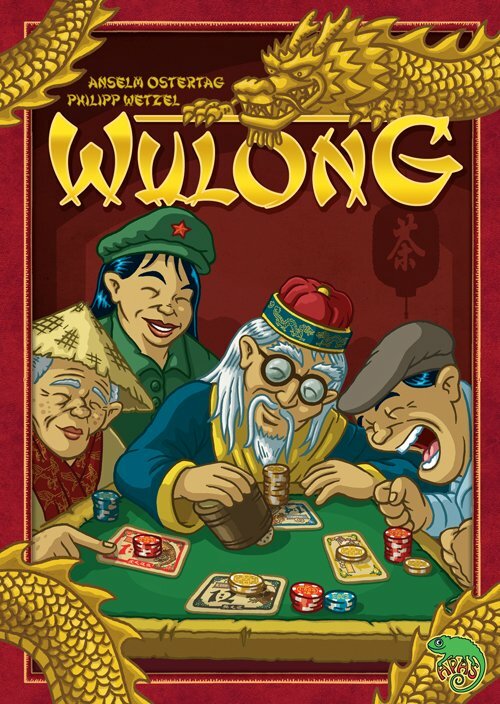 Order Wulong at the Spiel direkt eG now.